This Saturday, May 26 at noon, we will be releasing cans of Empyrean & Hiding Place! We will begin to hand out wristbands at 8am. If you plan to arrive before this, it will be your responsibility to keep your place in line. At 8am, an HVB employee will go down the line and give a wristband out to each guest. Once you receive a wristband, you’re free to explore our beautiful city! If you arrive after 8am, please come to the front door to receive your wristband. If you choose to leave, please make sure that you return to the line at 11:30am, sharp! Depending on how many people come by, we might have to lower the allotment after the first hundred people. We’ll be using different colored wristbands to make these allotment groups clear. Also, please do not remove your wristband! We will not be able to honor wristbands which have been ripped or removed. Thank you! For up to date information on allotments on the day of the release, check out our IG stories. Sour IPA with raw wheat, malted oat, milk sugar, Muscat grapes, orange zest & rosemary; hopped w/ Azacca and Mosaic. Double Dry-hopped Sour IPA with raw wheat, malted oat & milk sugar; hopped w/ Galaxy & Citra. $20 four-pack / starting at 1 case per person. Sour Farmhouse ale fermented in stainless w/ Lychee & aged for three months in oak. 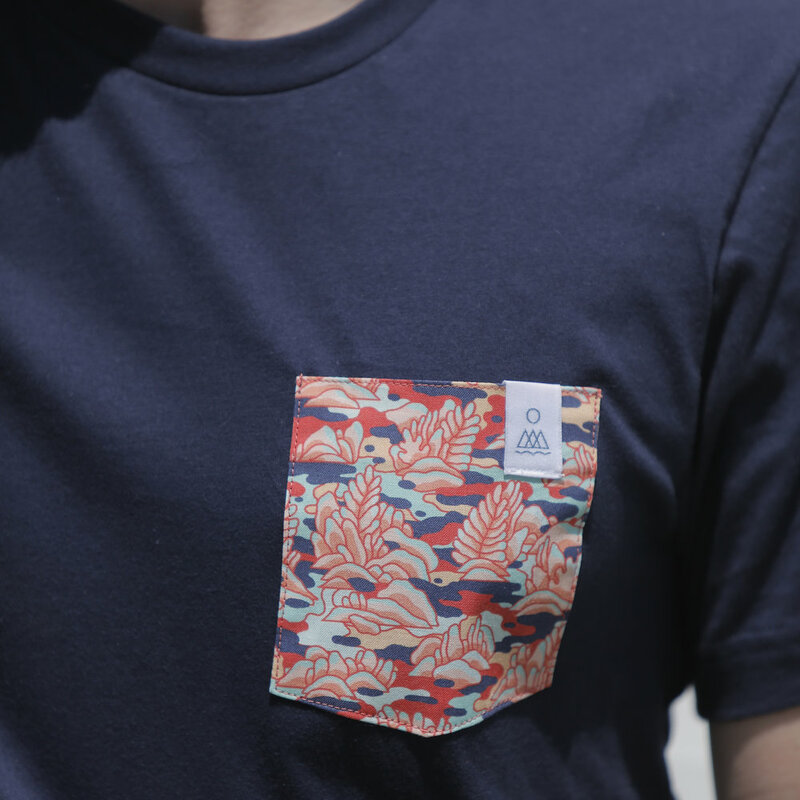 Navy blue t-shirt with contrasting printed pocket.